Buckle on your swashes for this swashbuckling adventure with a highlander who fought for Bonnie Prince Charlie who, after various escapades, becomes a pirate. Two noble Scottish brothers deliberately take opposite sides when Bonnie Prince Charlie returns to claim the throne of Scotland in order to preserve the family fortune. 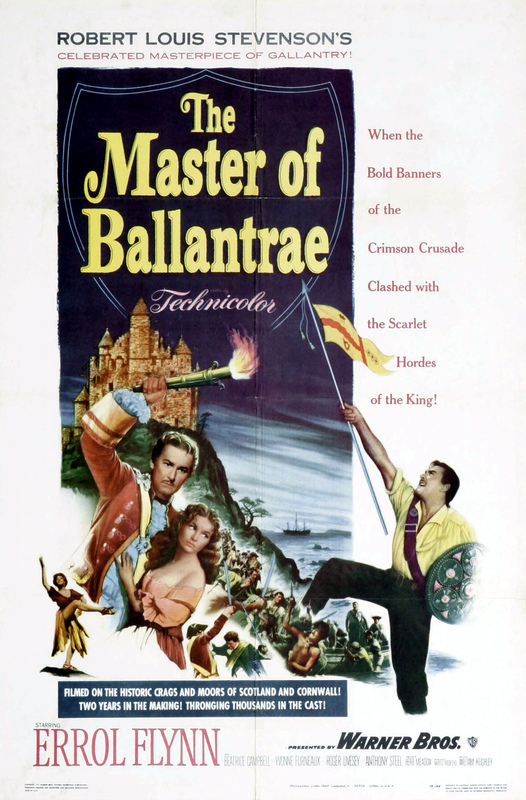 The Master of Ballantrae starts out as a great swashbuckling adventure film with lots of promise. It has the comfortable feel of the best Disney films of that era, plus an even better look. Although not in his prime, Errol Flynn seems perfect for the role. His performance exudes a certain edge and sardonic quality that make his character very compelling. All the supporting characters do a fine job, but Roger Livesey as Colonel Burke is especially intriguing as Flynn's comrade and sidekick. Unfortunately, shortly after the story setup, the film starts to unravel. Nevertheless, I was still on board until the pirate section of the film. I found that whole business silly and unbelievable. The two pirate captains, a French dandy named Arnaud (Jacques Berthier) and another known as Mendoza (Charles Goldner) are both completely ridiculous. The film never recovers and is only mildly amusing for the duration. Except for one stirring speech by Flynn, the ending and resolution to the story fall short on credibility and excitement. 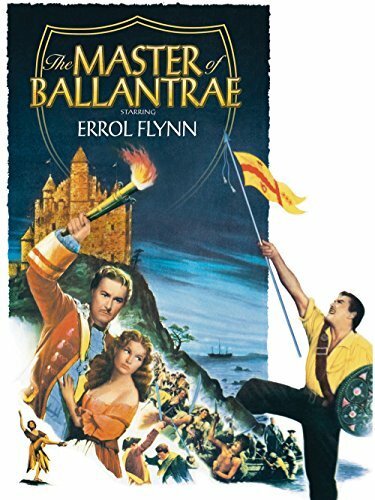 Although The Master of Ballantrae is somewhat disappointing, I still would recommend the movie to film buffs and Errol Flynn fans. The DVD version is beautiful and worth watching. Just six short years after this film was released, Flynn would be dead, having successfully destroyed his own life. Surprisingly, The Master of Ballantrae demonstrates he was still capable of a first-rate performance at this time. It's a pity that William Tell, Flynn's next project, failed and was a personal financial disaster as well. Yes, he delivered a couple more notable performances in forgettable movies, but it's obvious that there could have been one more great Flynn epic before the final curtain. Errol Flynn was still a damnably handsome man in 1953.By then he was bringing something extra to his films - a bruised integrity,a face that has had the smooth edges knocked off,eyes that betray a knowledge that he is running out of time.In his close - ups he looks reflective,aware that perhaps his future is all used up as Marlene Dietrich said in "Touch of evil". No longer the superb athlete he once was,his acting is more intense and inner - directed,less extrovert. Teamed with a splendidly silly Roger Livesey in "The Master of Ballantrae",he still cuts a dashing figure nonetheless.He and Mr L carry this rather disappointing production far further than it deserves. Sumptuously photographed by Jack Cardiff with some snappy swordplay,it should be better than it is,but it lacks a strong hand at the helm and becomes a series of unrelated actions totally failing to morph into a satisfying whole. The "pirates ashore" sequence goes on far too long and features a dance by choreographer Miss Gillian Lynne that is possibly unique in cinema history - and I don't mean that in any good way. In 1953 it was still just about enough to have Errol Flynn in a technicolour film with pirates and redcoats - sadly this combination has not improved with age. Within a few years,Mr Flynn will have dissipated himself to death in pursuit of whatever devils haunted him.This was a tragedy not recognised at the time because of the appalling fall - off in, the quality of his final films. 60 years on his career can be viewed much more objectively,and it is possible to acknowledge his grace,charm and athleticism have had few if any equals.